In this feature, the BurnTech team share their top-ten 2017 wearable tech predictions. Wearable fitness monitors and fitness bands has been a serious growth industry in recent years. The segment exploded into life in 2013 with Nike Fuelband, and has continued to grow quickly ever-since. Companies such as Fitbit, Jawbone, Android Wear, and Nike have all been competing to bring the most innovative and individual products to consumers. Not only fitness wearables, but all types of wearable technology have continued to develop and improve since their first appearances. Much of the early technology is now into its third or forth generation, and the iterative improvements are continuing to stoke the sales coals. So what are our predictions for wearable technology in 2017? Its that time of the year to let the speculation begin to run-rife. As the technology develops, products improve. As newer versions of old products become available, the demand for such products grows. Wearables are now at the stage where their evolution is self-fulfilling and thus the sales rive themselves as folks get into upgrade cycles. For example, iPhone users are more than willing to spend hundreds of dollars on the newest version of Apple products. Despite being the same product, the features and functionalities tend to get better and more advanced. Not all products are well-suited to annual upgrades, but I have no reason to believe that wearables will struggle, especially at the lower>mid-range of the market. Companies like Fitbit and Jawbone may ultimately build their business mid-life cycle out of this. Fitness bands, a product line that has been growing immensely since its first appearance is continuing to move up in sales, innovation and design. Furthermore, every data-driven technology company, if not already, is rushing to develop their own versions of Fitbit or Android Wear devices. There are some doomsday prognosis’s the market for fitness bands; and perhaps they ultimately will die a death to the all conquering smart watch, but 2017 will not be that year. Right now, many punters see fitness bands as a better bet than smart watches, simply because they’re more affordable and are increasingly including features like GPS and continuous heart rate monitoring. At more like £40 than £400, many see bands as the much better value proposition. We’re included in that here. 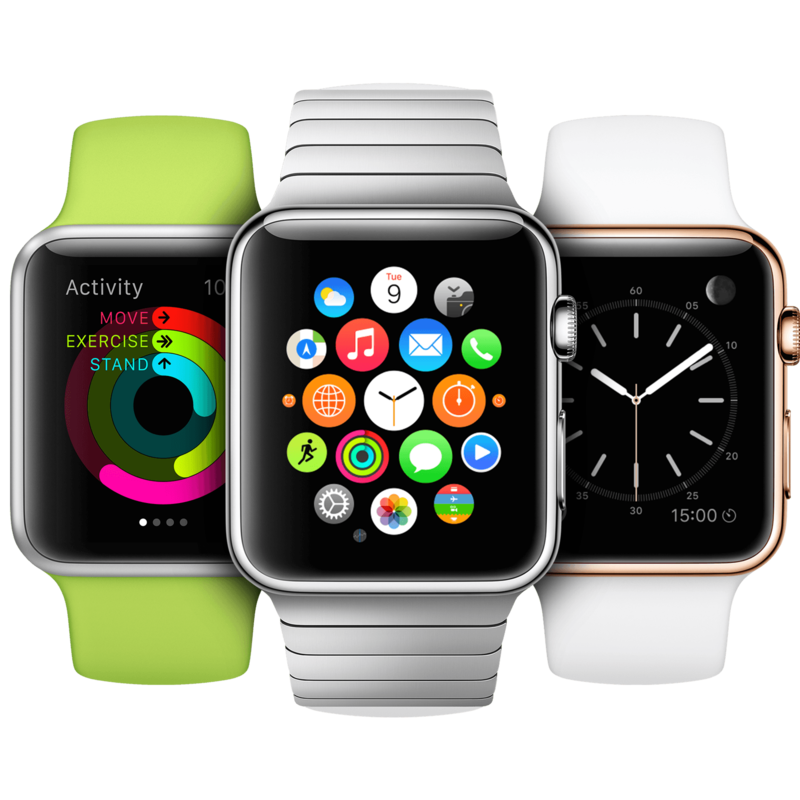 We recently reviewed the Apple Sport Watch and found it to still be lacking for sports users, namely runners. Maybe Apple’s first cut failed to recognise precisely what the sports market needed, or perhaps even Apple were slightly caught out by the rate of change in this exploding space. Either way, the Apple Watch 2 will doubtlessly address a lot of these issues and we expect it will be a marked improvement – and may perhaps come to define and grow the space. Fitbit are the breakout kings from the upstart-start-up fitness tech gold rush. Apple are the consumer tech incumbents, with their own fan-club who virtually preach all things Apple. Fitbit will stand behind fitness focussed lifestyle bands, Apple will push on with the watch. Both will compete with one another, swiss watch giants, other smart-tech and the rest for your wrist space. One was top of the pops at John Lewis, the British retail giant this black Friday, the other is the top pick by IBM Watson super-computers to headline Christmas 15. Who’d bet against Apple, yet Fitbit is growing fast. It may not be quite as clear-cut as it first appears! Google, the powerhouse technology company of Mountain View, California could soon be joining the fitness wearables marketplace with its rumored Nexus Band. Where Apple goes, Google now follows? While continually working to gather data from users and improve user experience through innovations and designs, Google may so release its very own fitness tracker, the Nexus Band. 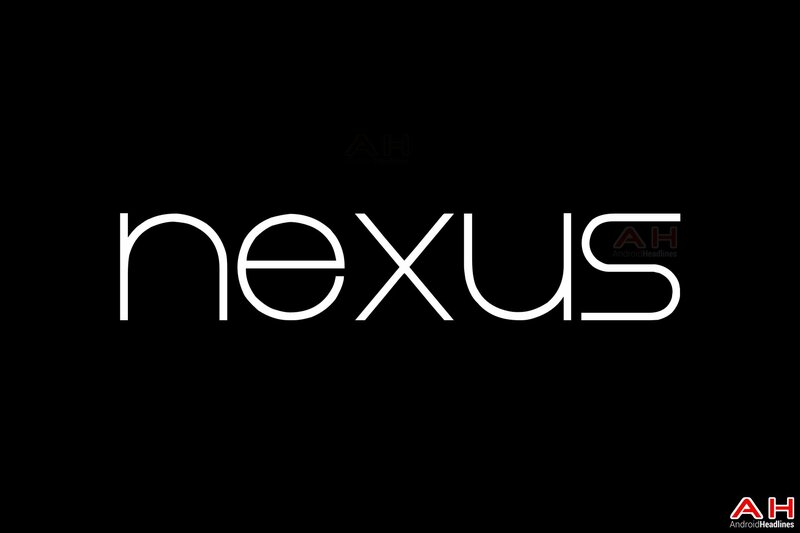 The Nexus Band will likely be a lightweight version of the Android Wear fitness device, and able to compete with other top fitness brands on the market. Even though it would make for Google’s first play into fitness monitors, Google X’s current product is more in-line with a medical grade device (which perhaps better fits the Alphabet groups positioning). The device would measure things such as pulse, heart rhythm, skin temperature, light exposure, noise levels, and several other relevant data streams. The device is targeted towards patients, to be prescribed by doctors for health monitoring and clinical trials. However, there is no doubt that this makes for a dammed good basis for a fitness band or smart watch. Lets see how this plays out. Founded in 2007, Fitbit has been growing in sales, market value, and product design. Constantly upgrading and innovating, Fitbit is now selling 4-5 million trackers per quarter. According to market forecaster’s, Fitbit is the company most associated with fitness products, and should be the first company to sell 100 million units by the end of 2017. The long list of available Fitbit products, along with the company’s profound brand recognition and brand marketing Fitbit is on track to be one of the leaders in the fitness industry. This is precisely where the company needs to remain. Its naturally very tempting for Fitbit to look at the rapidly emerging smart watch space and feel compelled to move into it. Its a big enough space to attract the likes of Asus, Samsung and Apple, and its also likely to eventually seriously dent if not kill Fitbit’s core fitness band market. However, we believe they should hang tight. Bands have a much more precise use case, fitness and health, and cost much less – which is attractive to the core marekt that they have served to date. yes some will jump ship and want the full spectrum of smart features, including a full phone sync, but many more won’t. How attractive is a smart watch space that will become defined by the Apple Watch 2 (and subsequent generations) plus the Samsung gear anyway? 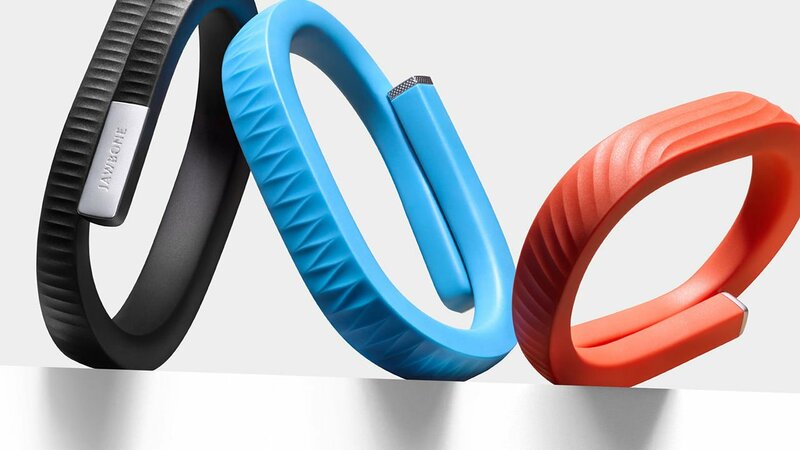 Jawbone, a competitor of Fitbit and Xiaomi is on track to for great years to come. Its stylish designs and easy to use fitness trackers are overwhelmingly popular with those involved in the health culture. The technology company, Jawbone was founded in 1999, and has had impressive growths since its market debut, but can’t seem to keep up with Fitbit. However, Jawbone’s recent innovations have exceeded expectations. If Jawbone continues to produce products like the UP2 and UP3, there is no doubt it can (and very well might) catch up with Fitbit and other fitness related wearables. The UP3 is a really good device, we compared it here with Fitbit and it scored favourably. There is a neither a nickel nor a dime between the Charge HR by Fitbit and the UP3, and this stands as greater testament to Jawbone. Maybe 2017 will be the year that Jawbone push on and re-assert themselves after a subdued two years. Who you may ask? These are the guys who went from quite literally no market share one quarter to over 17% by the COP next quarter. When your weed grows that fast, you’re onto something. The beginner fitness band, Mi Band is cheap, simply, and offers a fair amount of features. Selling at $15 a band, Xiaomi’s fitness tracker is the band most people start with, to see if the world of fitness wearables is for them. At that price, its almost the very definition of ‘no-brainer’. Although, not the most accurate piece of equipment out there, the Mi Band is quite functional. 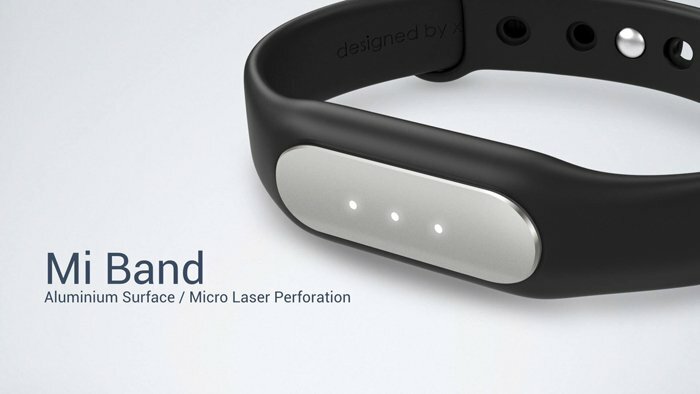 The Mi Band tends to overestimate step counting and burned calories, but can pair with Google Fit and Apple Health. Since its release in July 2014, Mi Band has sold over 6 million units, and only plans to increase sales in the coming years. Rather than spending $150 in one fell swoop, the Mi Band is the perfect “starter pack” for future fitness fanatics. Engineers are constantly searching for new ways to design and manufacture clothing in ways that are both comfortable and innovative. Increasingly the enginerring challenge is to bury smart tech into the clothing. Companies such as TITIN, with their weighted compression shirts and shorts, ICEBREAKER, with its durable, lightweight, merino wool designs, ExOfficio, and others are dominating the smart clothing market. However, in the lead is Under Armor. Owner of Endomondo and MyFitnessPal, Under Armor is constantly offering new gym bags, fitness clothing, sweatshirts, and shoes to improve our lives. Waterproof, snow proof, odor resistant, and insulated are common things among many of their products. Under Armor may be at the top of the food chain, but companies like Nike and Adidas are close competitors. Under Armor, continually increasing in sales, may still hold the lead by 2018, but its competitors won’t be far behind. Add in smart tattoos, smart socks and smart just about anything – and it will be fascinating to see where the sector ends up! The one thing almost all smart watches have in common (besides everything) is smart payments. Samsung, Apple, Android Wear and most other smart watches on the market allow users the opportunity to pay with a flick of the rest. This small, yet huge feature has been catching on quickly. Within a few years, more than half the population will be scanning their wrists at SBUX, target and publix. The ability to leave credit and debit cards at home has made our lives so much more convenient. (and safe!) The only thing we could use now is the option for mobile driver’s licenses. We hope to see a feature added that will allow us to leave our entire wallet at home, freeing up our pockets and purses, but for now, mobile payments is enough. Smart technology is an evolving industry. Startups with new designs, and seasoned companies are constantly offering more advanced innovations. Within the next 5 years, wearable tech could, and most likely will, achieve futuristic products. Companies such as Google and Apple have already leaked prototypes of future designs, but the technology to achieve widespread manufacturing is not available, as of yet. Self-driving cars, product cloning, and Artificial Intelligence are all products that have already been invented. Still on small-scale uses, in a few years, they will change everything.